The Boehringer Ingelheim Veterinary Scholars Program (BIVSP) enables veterinary schools to introduce first and second year veterinary medical students to biomedical research. 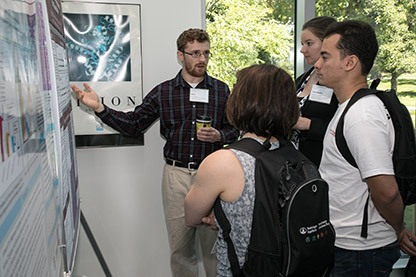 By providing a supportive environment in which students help conduct research in an established laboratory, complemented by seminars and discussion groups on careers in science, the participants gain insight into careers in biomedical research. A large proportion of program participants actually end up with a career in science. To me, that's a clear long-term benefit of this program. FABIAN KAUSCHE, GLOBAL HEAD OF R&D, BI ANIMAL HEALTH. Boehringer Ingelheim (BI) has proudly continued the nearly 30-year tradition of sponsorship of the Boehringer Ingelheim Veterinary Scholars Program, the most prestigious biomedical research program for veterinary students, and the related annual National Veterinary Scholars Symposium held this year August 3-6 at the U.S. National Institutes of Health (NIH). In addition to presentations from leading academicians and program participants, attendees at this year's Symposium heard from speakers including Donald Neiffer, V.M.D. Chief Veterinarian, Smithsonian's National Zoo and Conservation Biology Institute, as well as BI's Dr. Joachim Hasenmaier and Dr. Fabian Kausche. 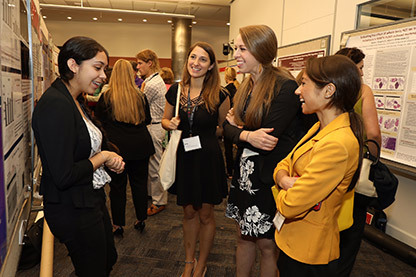 Nearly 650 participants from 38 veterinary schools in North America and Europe attended the Symposium, learning from a variety of experts from academia, government, private research institutions and industry on the topics of neuroscience, global health, conservation medicine, and comparative oncology. 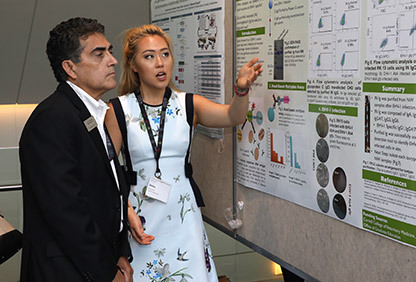 More than 170 Veterinary Scholars Program participants also presented findings from their summer biomedical research projects. This summer research experience often serves as a springboard for lifelong careers in veterinary science and research. Since 2000, more than 2,500 veterinary students sponsored by the company have conducted and presented research findings, helping them prepare for a range of veterinary careers. Each year, Boehringer Ingelheim presents awards to one graduate student and one undergraduate student for exemplary research projects. The 2017 Boehringer Ingelheim Veterinary Graduate Award was presented to Dr. Anna Massie, a resident in small animal surgery at the University of California-Davis, for her work in the evaluation of bone morphogenetic protein (BMP) as a treatment in chronic non-union fractures in dogs. Ann DiPastina, a veterinary student at Michigan State University, received the 2017 Boehringer Ingelheim Veterinary Research Scholar Award for her research project on optimizing antimicrobial use for mastitis on U.S. dairy farms. Click above to hear more from this year's award winners, as well as BI leaders Dr. Joachim Hasenmaier, Dr. Fabian Kausche, Dr. Albrecht Kissel and other participants about the 2017 National Veterinary Scholars Symposium and the Boehringer Ingelheim Veterinary Scholars Program.